Apart from applying the principles of feng-shui, a few decorative touches to your sofa bed can be a great way to make guests feel cozy and welcome this holiday season. Since family gatherings and late night parties are just around the corner, we at Replacement Mattress have begun thinking about the different ways to cheer up the sleeping accommodations. Here are a few ways to decorate your sofa bed (and the sleeper sofa mattress for guests who stay overnight) for this festive time of year! Has it been snowing outside? If you have the spare time, why not decorate the space around the sofa bed with a Christmas-inspired color palette? White lights, silver ornaments, white or gray blankets and a white carpet will all help transform the area into a winter wonderland. These ideas from Whimsy Girl Design are plenty to get you started! 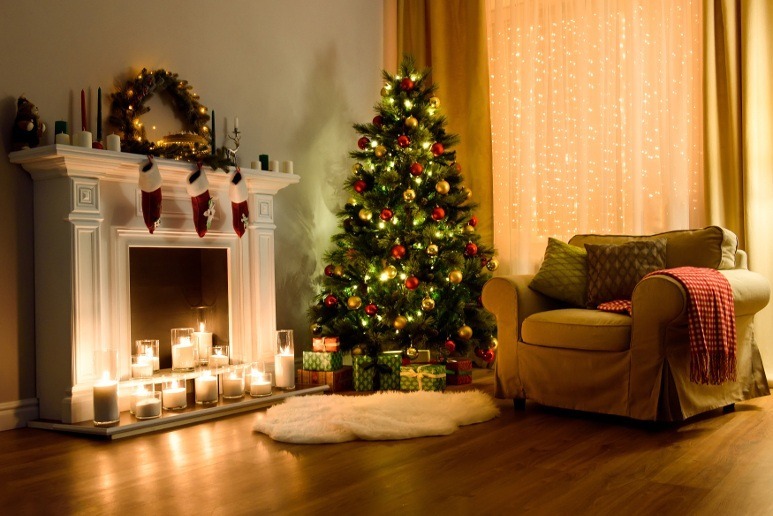 You don’t need to ambitiously redecorate the entire room to incorporate some holiday cheer. The good thing about throw pillows is that there is no lack of designs to choose from, and a few festive picks can be all you need. Here are some ideas from Pottery Barn to inspire you. There is something about handmade furnishings that warms our hearts. Why not tap into your creative side and sew, knit or crochet the blankets and/or pillows for guests? You can even add your guest’s initials and turn these pieces into holiday gifts that family and friends can take home when they leave! Like pillows, decorative sheets can be all it takes to introduce the Christmas feeling. Apart from prepping the sleeping area for winter, sheets that are red, green and plaid will all ensure that your guests feel festive. These Eddie Bauer plaid sheets in twin size will look great on your sofa bed mattress. A couple drops of cinnamon, vanilla or orange essential oils are all you need. Guests will love falling asleep to aromas that may remind them of delicious holiday treats. If you’re expecting kids, add a Christmas stocking pillow filled with goodies on the sofa bed. Just make sure that each child has their own stocking to prevent arguments (unless you’re trying to teach them the gift of sharing). There are lots of ways to make your guests feel welcome during the holidays. Decorating the sofa bed is one idea that will be appreciated, and can include anything from small touches, like pillows, to completely transformations. We hope these ideas will help simplify the process for you.